Tugboats will Roundup the weekend after Labor Day in Waterford after taking last year off due the effects of Hurricane Irene and Tropical Storm Lee. 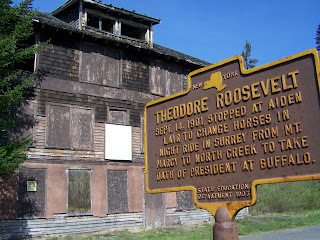 The Tugboat Roundup is an annual event in Waterford, celebrating the maritime heritage of upstate and interior New York at the confluence of the Hudson River and New York State Canal system. The Roundup begins on Friday, September 7 and concludes on Sunday afternoon, September 9. More than 30 tugboats, workboats, barges and other craft are expected along the Waterford wall at the entrance to the Erie Canal. The festival takes place in front of the Visitor’s Center at the foot of Tugboat Alley and kicks off with the Tugboat Parade on Friday afternoon which starts at the Port of Albany, coming into Waterford in late afternoon. The Mohawk-Hudson chapter of the American Society of Civil Engineers will be recognizing the Waterford Flight of Locks as a significant American Engineering achievement on Sunday at noon during the Roundup. 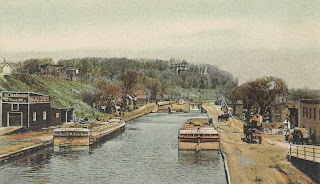 The flight is a two-mile long series of five locks, critical to the success of the “modern” Erie Canal when it was built in the Nineteen Teens (it opened in 1917). Boats are raised from Hudson River level more than 180 feet into the Mohawk River above Cohoes. Additional land displays include local crafters, artists, food tents, historical displays and local organizations. The American Red Cross, continuing in their efforts to help the region recover from last year’s storms, will have a tent at the festival for more information and donations. Local fire departments, always at the ready, will also have information areas. Live music with local musicians will take place throughout the weekend, kicked off on Friday afternoon with canal and river balladeer George Ward and including other local bands such as “All Nite Long,” “Yesterday’s News,” “Flood Road,” Nixie Dixie Cats,” “Captain Squeeze and the Zydeco Moshers,” “Lawson,” “Scott Stockman with Big Blue Sun,” and wrapping up with the “Boys of Wexford” on Sunday afternoon. Fireworks will take place on Saturday evening at 8:00. The Tugboat Roundup is organized by the Town of Waterford with the support of sponsors. 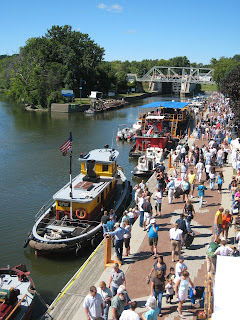 Photo: The 2008 Tugboat Round-Up, Courtesy Duncan Hayes, NPS (Erie Canalway National Heritage Corridor).